When to rest? This festive could be the perfect opportunity! Latest @boxrox article coming up ??. ⠀⠀⠀⠀ Deload ? ⠀⠀⠀⠀ “Deload is a term we use when reducing training volume and or intensity. ⠀⠀⠀⠀ Everyone will deload in some way, shape or form as it is impossible to maintain high levels of physical training/exertion without deloading at some point. ⠀⠀⠀⠀ Most athletes are used to taking rest/recovery day during the week to allow themselves to recover. Having a deload period is very similar to a rest/recovery day, just over a longer period of time. ⠀⠀⠀⠀ Deloading doesn´t just mean stopping and watching movies, although it can, if that is what is needed. It is also about moving and getting the body prepared to be in the best possible shape to get back to your next phase of training. Sometimes this can be just as beneficial mentally, as well as physically….” • If you're interested in The Progrm we offer a 7 day free trial. Link in Bio. Deload is a term we use when reducing training volume and or intensity i.e. resting and recovering. Everyone will deload in some way, shape or form as it is impossible to maintain high levels of physical training/exertion without deloading at some point. Most athletes are used to taking rest/recovery day during the week to allow themselves to recover. Having a deload period is very similar to a rest/recovery day, just over a longer period of time. Deloading doesn´t just mean stopping and watching movies, although it can, if that is what is needed. It is also about moving and getting the body prepared to be in the best possible shape to get back to your next phase of training. Sometimes this can be just as beneficial mentally, as well as physically. The most obvious time to schedule a deload is after competition, it is a natural time to do so, as you have had high levels of exertion and most likely you will have a longer period of time before your next competition. However there are other times it can be useful too, during a long off season it can be useful to schedule periods of deload to avoid “burn out” . These scheduled deload periods can happen every 4-8 weeks depending on the person and type of training they are doing. A deload phase also becomes useful just before competitions, but this we need to cover in a separate post as Competition preparation is quite specific. There are also times when you have to take “unscheduled” deloads, these can happen for various reasons; an injury or sickness, increased work or family commitments, however the process back to full activity is similar. The aim of the deload is to allow the body to recover from the last period of training and prepare the body for the increased demand of the next period. If done correctly, you should return from a deload week with a properly adapted, well-rested, stronger and more focused body. 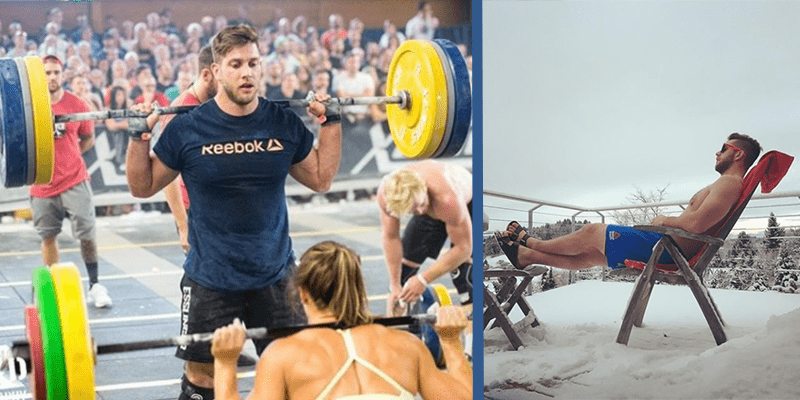 Within The Progrm our philosophy regarding programming, means we never go into a cycle that completely avoids CrossFit – constantly varied functional movements. We believe that the training of constantly varied movements across broad time and modal domains is crucial to success in the sport. We also don’t schedule in specific deload periods, for the pure reason everyone is unique, some athletes handle more volume over a longer period, some athletes handle less. Therefore the uniqueness of each athlete needs to be accommodated for. It is therefore important that you take control of your recovery and decide when this is necessary. Listen to your body and be aware when the right time is for you to take a deload. TAT tired all the time. Consistently not attaining previous times or weights in workouts. Starting to pick up little niggles or small injuries that keep returning and won´t go away. Motivation for training is reduced. As every person and therefore athlete is different the structure needed to deload properly is different. For example most athletes after the Games will take a period of a month to readjust back to normal training, whereas after Regionals it may only be 1 week, especially if they have qualified for the Games. Your deload template should therefore be flexible to these varying time domains. Sometimes you just need a few days to deload before you can start coming back, other times you need to take longer. Here is a brief look at one of The Progrm´s typical deload templates that you can use as a guide. The “Days” in brackets are the recommend time spent in each part. For example this template can be as short as 4 days or as long as 12. Stay away from the gym, make sure you feel fully rested, this may involve taking naps during the day. You should look to be sleeping at-least 8-10 hours a night. During this time you should keep physical activity very low. It is also important to eat well during this time, making sure that you don’t just binge out of junk food because you are not at the gym, but use the time to eat well. This is where you can start to move again, it doesn’t have to be anything too strenuous, maybe some stretching/walking, just get the body feeling good and enjoy the movements. It is still important you are getting sufficient sleep and eating well as these 2 aspects will have a huge impact on you returning back to optimum training. Now you can start to up the intensity and volume, however we would suggest not going back to your full training routine. Here can be a good time to focus on improving specific movements you may need to improve or spend the time on technique over heavy loads. Now is the time for you to start entering back into your normal training routine.